Breaking News!!! Lou Dobbs on CNN, shut your pie hole and listen up. Mr. O Reilly, put an (extra large) sock in it. This is far more important than any pseudo-news you can make up to keep us coming back for more (information filler). Nancy Grace, you WILL be able to work up a minor sweat shortly; the first opportunity to enjoy free sauna-like conditions since late June. that’s right Glen Beck, you’ll have one more thing to whimper about this upcoming Saturday, when the heat index over far southern Minnesota may top 100 degrees. But long-range guidance is even more impressive looking out 7-10 days. After a slight cool-down early next week (back down to “normal”) we heat up again by the end of next week. I could envision a few days in a row above 90 degrees, with dew points in the 60s to near 70. Translation: the weather we SHOULD have witnessed in mid July may be on tap for mid August. This just gets stranger and stranger with each passing day. So happy I’m around to witness Mother Nature’s nervous breakdown. The Drought of ’09 will get worse before it gets better – I’m increasingly sure of that fact. A light shower is possible Wednesday night, with a better chance of passing T-storms Friday and Saturday as much hotter air makes a pass at Minnesota, jet stream winds finally howling from the southwest. 90 is possible Saturday afternoon, maybe some mid 90s over far southern MN, where the combination of heat + dew point could make it feel more like 105 by late afternoon. A wind shift to the northwest will leave us all breathing a bit easier on Sunday, highs back in the 80s with a welcome dip in humidity. The first half of next week appears comfortable, seasonably mild with dry, sunny weather the rule. But another surge of desert heat may be building for the end of next week and the weekend of August 15-16, maybe a few days in a row > 90 F. Something to live for! You just KNOW it’s going to be hot and sweaty for the Minnesota State Fair. Wouldn’t have it any other way…. CPC 6-10 Day Temperature Outlook, showing above normal readings east of the Rockies for the second week of August. I have a hunch August may wind up warmer than July for much of Minnesota, which is a highly unusual turn of events. Satellite image of the USA, showing an MCS (meso-convective system) OR a potential “derecho” over the Ohio Valley, a sprawling swarm of severe thunderstorms covering thousands of square miles, capable of flooding rains, damaging straight-line winds, even isolated tornadoes. Most storms tend to self-destruct after 45-60 minutes. Rain/hail-cooled air snuffs out the warm updraft and the storm fizzles. But derecho’s can sustain themselves for hour after hour, in some cases 1-2 days, covering 1,000-2,000 miles! There are among the least understood of all severe weather events, because they are relatively rare (there may be 6-10 derecho events during a typical summer for the entire USA). 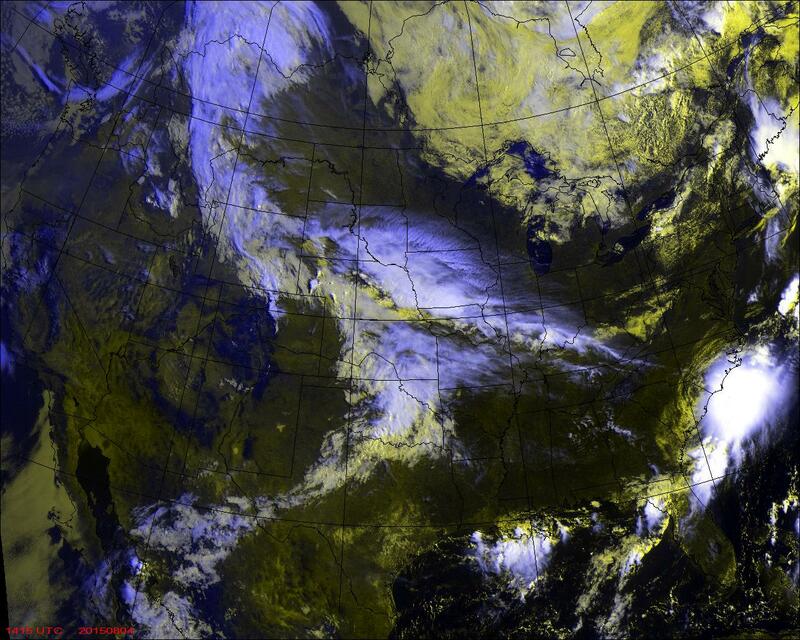 Click here for the latest high-resolution satellite image. Welcome to the Louisville, Kentucky Public Library, which at one point Tuesday was under 4 feet of mucky, nasty water, the result of a record 4.5″ of rain falling in less than 3 hours. These days it’s either drought or flood, sweatshirts or smoldering, desert-like heat. Not too much in-between, it seems. Cloud to Ground Lightning Strikes within the last 30 minutes, courtesy of WSI. Doppler radar shows rain/hail but does not give any clues whether clouds are capable of sparking nature’s deadliest spark: lightning. If you have an outdoor bash coming up in the evening or weekend I wouldn’t hesitate to visit this site, make sure you “refresh” your browser and check for yourself if lightning is nearby. Daily Rainfall, courtesy of WSI. This is based on a mosaic of reports from local NWS “NEXRAD” Doppler sites around the USA, and is usually fairly accurate. One disclaimer: a T-storm cell with significant hail can contaminate the display, resulting in estimated rainfall amounts that are much higher than reality. For the very latest information click here. Weekly Rainfall, again, courtesy of WSI. In the last 7 days the heaviest streaks of rain have been observed from Mille Lacs and the southern Twin Cities metro area on east toward Green Bay and Wausau, but it’s still not enough. Keep in mind that lawns and fields require at least 1″ of rain every WEEK for sustained, healthy growth. We haven’t been getting our fair share of rain in recent months – moderate to severe drought conditions linger over central Minnesota. The next Drought Monitor update comes out Thursday.